When I spotted the story yesterday about the Tim Hortons’ store employee fired for giving away a 16-cent timbit to a kid, I wondered how fast the doughnut store giant would react. As it turns out, very quickly. The company recognized that you can’t let things fester in a 24 hour news cycle. Especially, when your company is a Canadian icon (although sadly now owned by an American firm). It was only a few hours later that I saw another story pop up on my RSS reader that the company had apologized and rehired the employee. On the Tim Hortons’ website, the apology is front and centre on the front page of their website. Nice work for something that the head office could have passed off as a local franchise issue. Nor did they get into the history of the employee or the manager. Nor did they get delayed in legal and labour issues. They just quickly said it was a poor decision, apoligized and corrected it immediately. End of story – they hope. Thanks for your thoughts about the issue — just a note of clarification: we are not owned by an American firm. 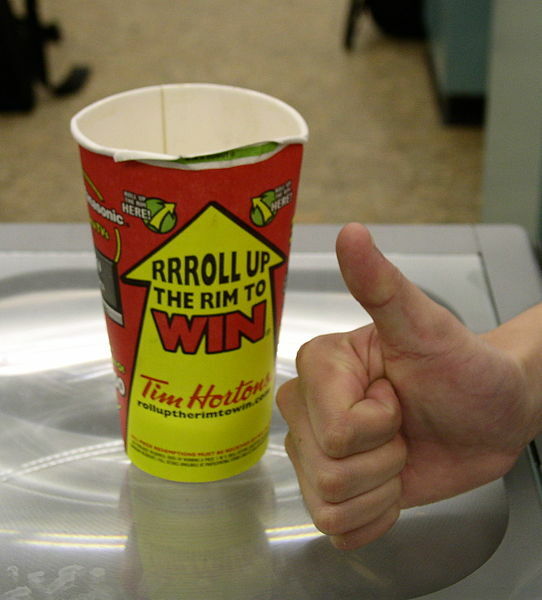 Tim Hortons is a widely-held public company directly listed on both the TSX and NYSE. Proud member of Public Relations, a FeedBurner Network.